The Northern Ireland Gay Rights Association (NIGRA) is a leading Northern Ireland organisation dedicated to enhancing the life of LGBT people here and human rights advocacy on behalf of those who experience discrimination or abuse on the basis of their actual or perceived sexual orientation, gender identity or expression. 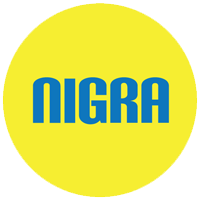 NIGRA is dedicated to strengthening the capacity of the LGBT human rights movement in Northern Ireland and the UK, to effectively document LGBT human rights violations and by engaging in human rights advocacy with partners around the globe including ILGA. We work with regional human rights monitoring bodies and civil society partners including the Police Service of Northern Ireland (PSNI), and other GLBT bodies. Guided by our values of integrity, equality, respect, diversity and partnership, we work to improve the lives of those who experience discrimination and abuse because of their sexual orientation, gender identity or expression, and to achieve a world with human rights for everyone, everywhere.